I’m testing the iPhone WordPress app to see if I can post from the road. 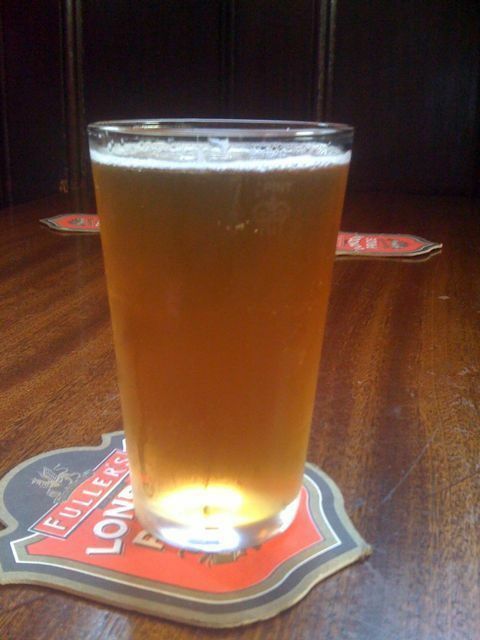 Here’s a photo of a half pint of Fuller’s Discovery Blonde. I drank this real ale at the Red Lion in Ealing. The pub stands right across the street from the old Ealing Studios and its walls are covered with photos of the actors who used to run across for a pint.